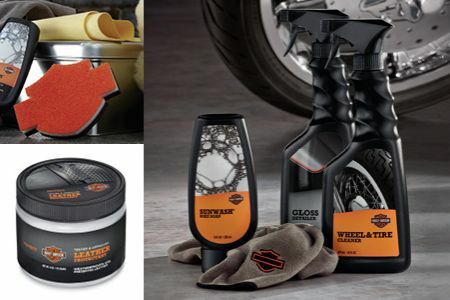 You already know that after your Service work here at Harley-Davidson® of Nassau County, we run your motorcycle through the Detail shop for a quick wash.
Our Detailers are really good at protecting your accessories and leather so you enjoy a clean ride home. And we're pretty sure some of the bikes we see get washed ONLY when they get a service, but in order to keep your bike in its best mechanical condition, as well as keep your resale value of this investment, we now offer complete Detailing Services that goes well beyond the post-service wash you already get for free. Over time, dirt, salts and oils can corrode many parts of your bike, especially chrome. Our Detail Services run from a Regular Wash to a Full Detailed Cleaning that includes Engine Treatments, Wheel Cleaning and Paint buffing. Speak to your Service Representative on your next visit, or ask for a Gift Card you can present to someone.